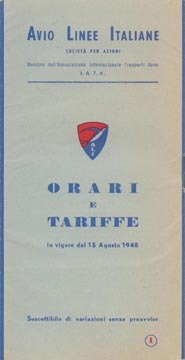 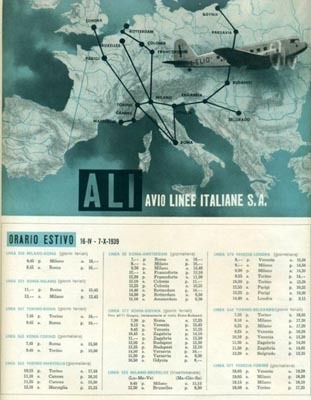 Avio Linee Italiane - ALI was founded in 1926. 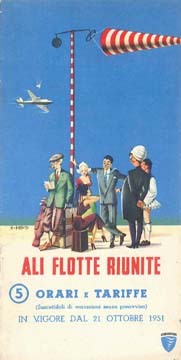 A service to Munich started in 1928, extended to Berlin three years later. 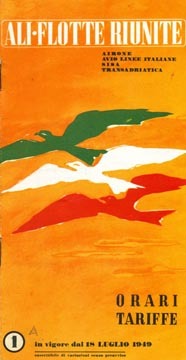 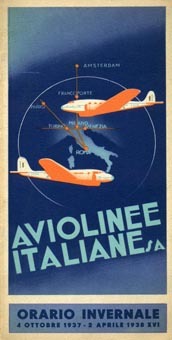 It was the only Italian airline to survive the creation of Italy's national airline Ala Littoria in 1934. 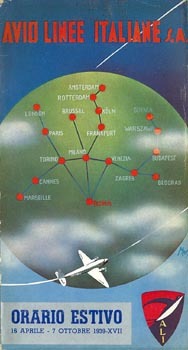 In addition to domestic routes centred on Milan, Paris and London were also on the route map before the outbreak of WWII, when operations were halted. Avio Linee Italiane was rejuvenated in 1947, again starting domestic services. 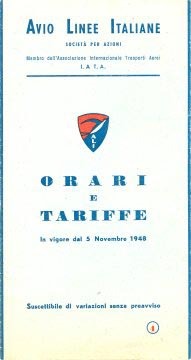 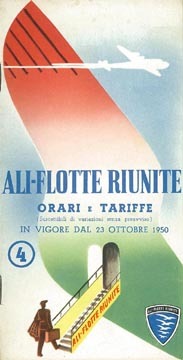 In 1949, the airline became ALI-Flotte Riunite, having absorbed three competitors: SISA - Società Italiana Servizi Aerei, Transadriatica (both post-war airlines using names of predecessors of Ala Littoria) and Airone. 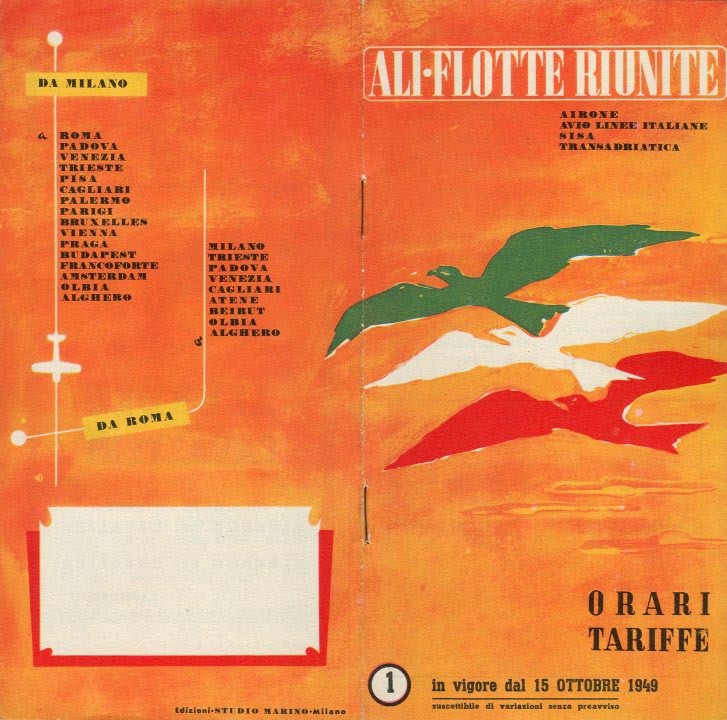 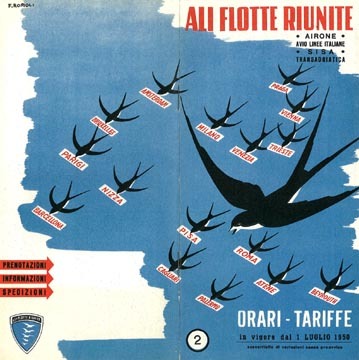 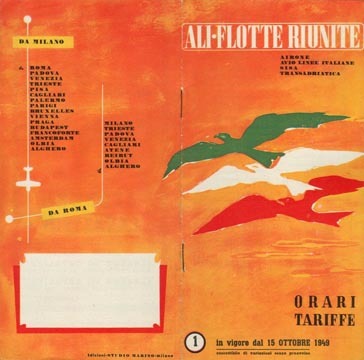 In spite of a rather impressive European and domestic network, ALI-Flotte Riunite lasted only until 1952, went it went out of business. 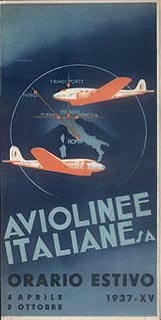 Assets and most routes were taken over by LAI - Linee Aeree Italiane. 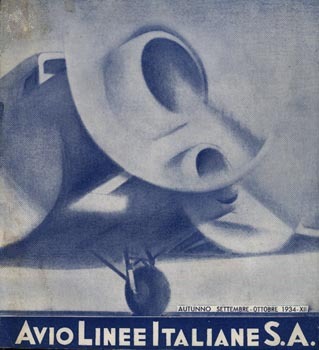 visit the Avio Linee Italiane page of Perry Sloan's "AirTimes" site. 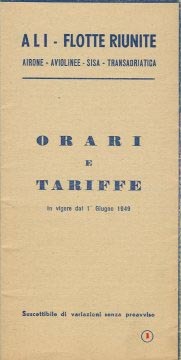 This page last updated March 18, 2018.